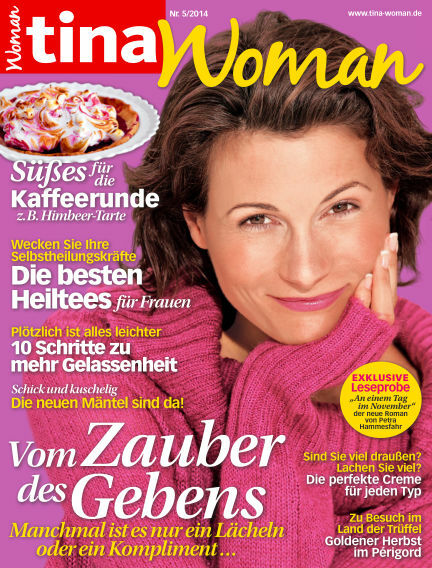 • Inhalt: ePaper mit Erfahrungsberichten, Tipps und Infos zu den Themen Mode, Beauty, Reisen, Psychologie und viele Reportagen"
With Readly you can read tina Woman (issue NR.5 2014) and thousands of other magazines on your tablet and smartphone. Get access to all with just one subscription. New releases and back issues – all included.